//The return value of alarm() is the amount of time left on the timer from a previous call to alarm(). If no alarm is currently set, the return value is 0. 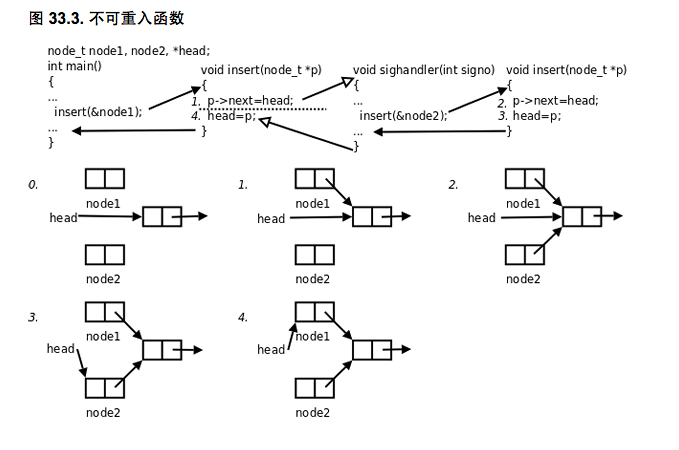 信号在内核中的表示 信号是存放于内核中task_struct 中进程控制块中的一个信号集: 每个信号有block 阻塞标志位，pending 标志位， handler 指针. 上图中的常规信号中，每个信号的阻塞和产生标志位用相同的数据类型 sigset_t 来存储，sigset_t 称为信号集，用于表示“有效”和“无效”两种状态。其中阻塞信号集也叫当前进程的信号屏蔽字（Signal Mask）. 这是因为编译器认为没有其它控制流程修改a, 误认为a 值不可变的。这不是编译器的错，sigaction, pthread, pthread_create 这些控制流程都不是c 语言的规范，不归编译器管。不过，c 语言提供了volatile 限定符，表示这个变量可能被多个执行流程修改，优化时不能将变量的读写优化掉. 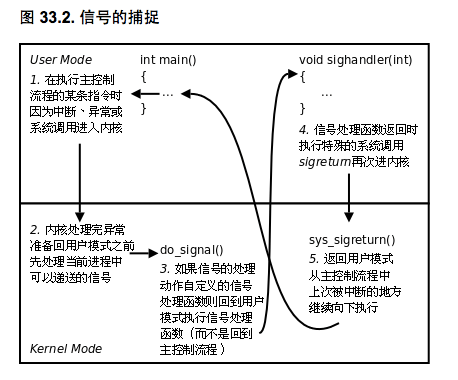 出现这个问题的原因是设置信号函数alarm(nsecs)与设置信号作用点pause(), 二者不是原子性的，可能导致执行pause时，alarm 所设定的超时信号已经提前结束了。 这种由于时序问题而导致的错误叫作竞态条件(Race Condition).